First of all, the missionaries were guests in the Hawaiian Kingdom; they didn’t have the power to ban or abolish anything – that was the prerogative of the King and Chiefs. 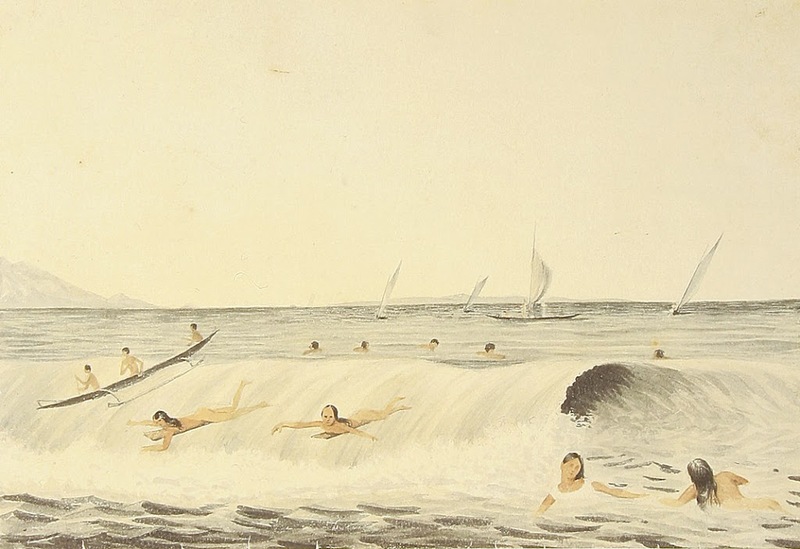 Missionary Amos Cooke, who arrived in Hawaiʻi in 1837 – and was later appointed by King Kamehameha III to teach the young royalty in the Chief’s Childrens’ School – surfed himself (with his sons) and enjoyed going to the beach in the afternoon. Let’s look some more – could something else be a cause for the apparent reduction of surfers in the water? What about affects the socio-economic and demographic changes may have had on the peoples’ opportunity to surf?